So, what is this little bowl? The bowl, designed by Paul Hodgkiss, is what is known as a quaich (pronounced quake), and is a traditional Scottish drinking cup which first appeared in the 17th Century. 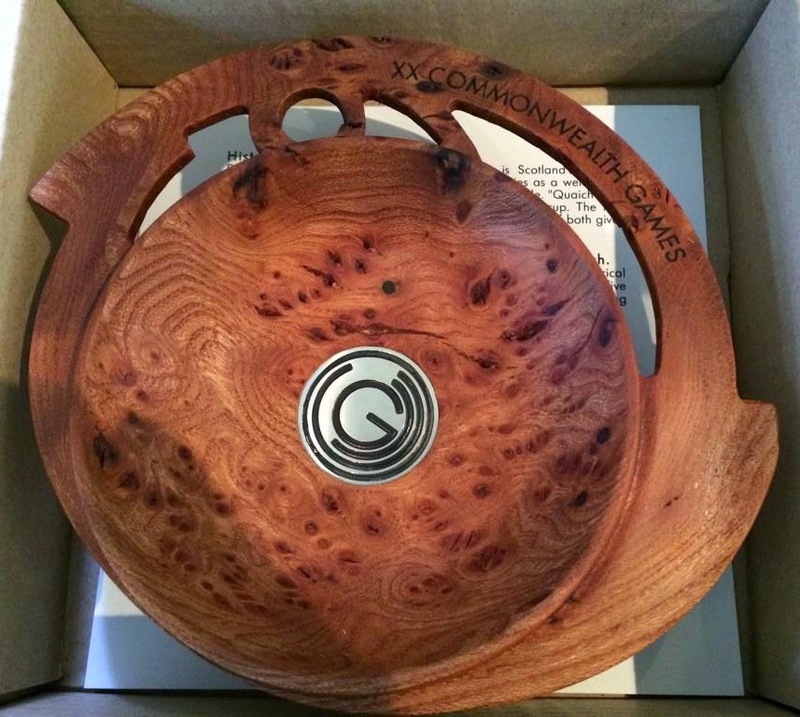 The wooden bowls, presented to the winners this year, were made from Glasgow elm. Wood was the first material in which these bowls were made, but it soon became the fashion to make them in silver, and that has since become the most popular choice. The wooden ceremonial quaich. 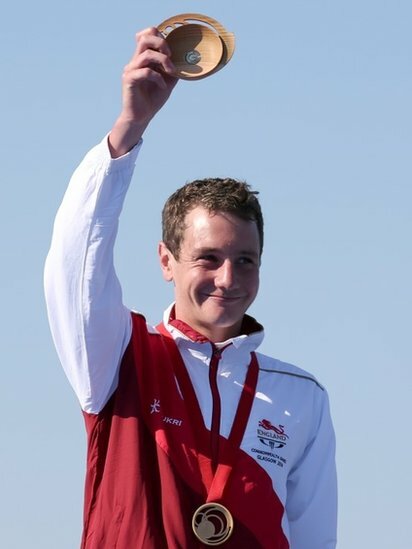 Image from English silver medallist Tom Hamer. The quaich has a long tradition in Scottish history and appears to be unique to Scotland. The cup was used to offer a guest a welcome or a farewell drink,usually a dram of whisky. Some travellers might even carry a quaich with them. Usually, a wee tot would be offered up, but there are quaichs which are large enough to hold up to 1.5 pints. These were most likely used for ale. A classic sterling silver quaich. Click here to view on our website. Always shallow and wide, their distinctive shape has remained the same for more than 400 years. Though rare examples of three handles can be found, the bowl traditionally has two handles, which should always be offered to the guest to hold by each handle. The theory for this is, if your guest is drinking with both hands he would be unable to use his weapon, thus symbolising trust between drinkers. A rare example of a 3-handled quaich. Feel free to contact us for further details. Nowadays, the silver quaich is most likely to be used in prize giving or given as a gift. It will be seen at many Scottish weddings, as it is often given as a favour to all at the top table. Also popular at christenings and births, it is used to share in the celebration of life and drink to the health of the new baby. Fishermen use them too, to toast the start of the new salmon season. They will drink from the cup and then tip some whisky from the quaich into the river. As we know, fishermen are a superstitious lot. In a more gruesome myth, it is believed the Druids may have filled these vessels with blood from the heart of sacrificed humans. I’ll stick to the whisky, thanks. So, the tradition of the quaich lives on, and a new generation toast health and friendship in the Scottish way. Sláinte.